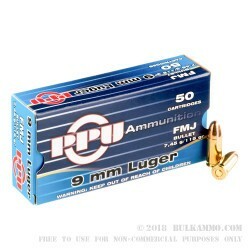 An absolute blowout price point for factory new, high quality FMJ 9mm Ammo, this is a legitimate choice for those who want to stockpile FMJ or shoot a ton throughout the year. 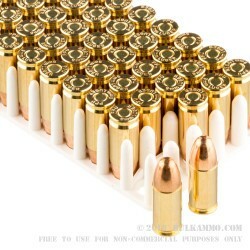 The seriously bargain priced ammunition is plenty reliable and made by a very long-time producer (Prvi Partizan). 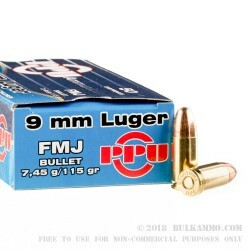 The classic 115 grain FMJ conical style bullet with a relatively clean burning powder makes this load a great companion for many sporting or range specific duties. 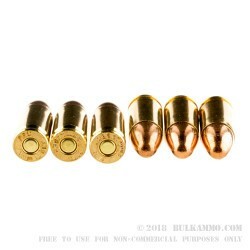 Boxer primed Brass is easy to reload and the moderate performance figures makes it a versatile round that can be used to function in most modern 9mm guns. At 1150 fps velocity and 330 ft. lbs. of energy delivered at the bore, this is perfectly fine to cycle most firearms in the 9mm platform. All full-sized frame 9mm pistols should easily digest this Prvi Partizan range ammunition giving you adequate time to practice and at a significant value. The quality of the brass is high and the powder discharge is not too bad, meaning that this ammunition has a serious value add for shooter who want to reload for custom tailored loads or just to save a bit of money. SHOOTS LIKE THE MORE EXPENSIVE ROUNDS. Q: Hello! Does this bullet have a steel or bimetal core? A: Hello Rachel, This Prvi Partizan ammunition is loaded using a standard FMJ projectile. The projectile is manufactured with a copper jacket and lead core. As a result, this round does not contain any steel in the casing or projectile. A: Hello Todd! Prvi Partizan ammunition is manufactured in their facilities located in Serbia.